TWU women members are out there every day fighting for a fairer and safer transport industry for all workers. This month the world celebrated International Women’s Day 201 under the theme ‘Powerful Together’. 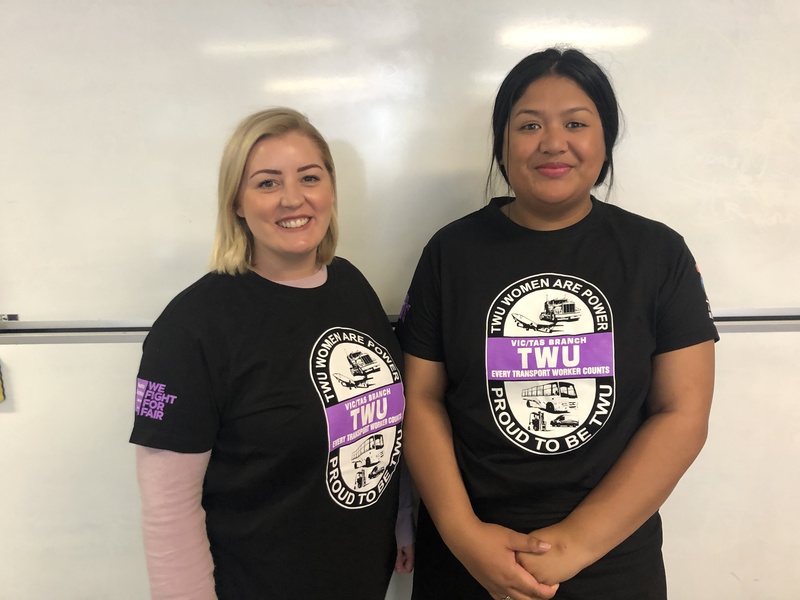 The TWU has an ever-growing female membership and we are particularly proud to be training an increasing number of female delegates and OH&S Representatives. No doubt – if we stick together we achieve powerful things. Staunch Team Jetstar Delegates Bianca Sullivan (pictured left) and Myra Dempsey (right) have been working on the latest EBA with Aviation Organiser Dissio Markos. There is one more meeting to go with Jetstar management but the company is not moving from its current position. We are likely to need to apply for Protected Industrial Action to progress this agreement.